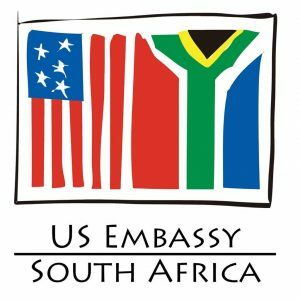 The U.S. Consulate General in Johannesburg is pleased to announce a grant award of approximately R2.1 million (US $149,506) to the Johannesburg Inner City Partnership (JICP) to implement the “Makers Way” project in the Bertrams and Lorentzville neighborhoods of Johannesburg. More than 25 local organizations submitted project proposals to the U.S. Mission’s “Urban Renewal: Creative Placemaking” 2018 grant competition. The JICP’s project was chosen because it will uniquely mobilize multiple community-based stakeholders, as well as local government and the private sector, on a public art project that directly involves community members’ participation at every stage – from concept to implementation – and includes a robust skills development program. The JICP project will promote conscientious urban revitalization in a low-income urban neighborhood through a creative placemaking project that integrates community-based arts and culture programming into a community development strategy for sustainable urban transformation. The JICP project will include support from Maker City, a U.S.-based social impact and advocacy organization, as well as direct participation from Johannesburg-based organizations The Coloured Cube and the Makers Valley Collective. JICP will host a public launch of the project in late January 2019 – with participation of the U.S. Mission to South Africa – to which media, community leaders, local government officials, and other stakeholders will be invited.